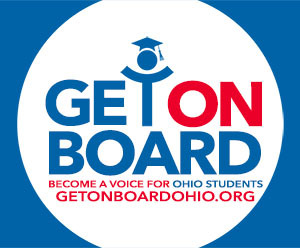 OSBA has resources, webinars and training to help you become a candidate for your school board. Check out photos from the regional conference held across Ohio this spring. The Board Leadership Institute — April 26-27 — offers two days of boardmanship training and networking. OSBA can help you create a path to success through a comprehensive, long-term strategic plan to ensure you always know which road to take. Nominate your student performing group or district program for the Student Achievement Fair at the OSBA Capital Conference in November. The deadline for performing groups is May 24. OSBA has numerous resources to help you run for your local school boards. View free webinars on becoming a school board candidate, campaign first steps and campaign contributions, expenditures and reporting requirements. Access free resources and learn about candidate training opportunities. (2019 edition) A paperback version of the interpretive text that appears in the Ohio School Law Guide. Written by attorney Kimball H. Carey. The Law Manual is a perfect reference for anyone involved with education.